It’s going to be a very warm weekend for San Diego, as temperatures have already reached more than 100 degrees at local beaches. The National Weather Service issued a hazardous weather outlook for Friday and Saturday, saying temperatures could reach up to 100 degrees near the beach. Extremely high temperatures are unusual for the coast, which is where people typically go to escape the heat. This weekend the beach could be as warm as the inland areas. 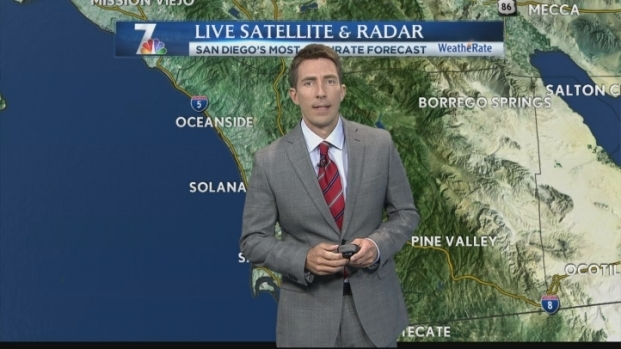 Temperatures will rise in a short amount of time partially because the marine layer will burn off rather quickly, said NBC 7 meteorologist Greg Bledsoe. Coastal and valley areas will see temperatures 10-15 degrees higher than average, according to NWS. Tommy Gerber of Mauzy Heating and Air Conditioning told NBC 7 San Diego that this year's heat is forcing people who live in coastal areas to purchase central air conditioning units. "One customer in Clairemont is a woman in her 80s and says she's never had air conditioning but the humidity is just too much," said Gerber. He said his company has seen a 35 percent increase in sales this year compared to last year. "People are giving us their house keys and telling us 'Here are my keys, I'm going to a hotel. Call me when you're done,'" said Gerber. Youth soccer games were canceled for children younger than 8 on Saturday for extreme heat, according to American Youth Soccer Organization. But this weekend the humidity will not be as intense as it has been in previous weeks, meaning nighttime will be significantly cooler than day with temperatures in the 60s and 70s. For a list of San Diego County "Cool Zones" where you can beat the heat in some nice, cool air conditioning, click here.